• Accurate thermistor sensor with 2m lead. 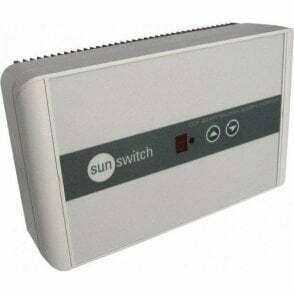 • Soft start function (gradual switch-on). • Temperature setpoint range -10°C to +10°C. • Current capacity 20A max. 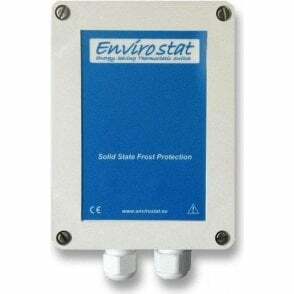 The Envirostat FP6E controller provides energy-efficient protection against damage caused by low temperatures, frost and damp. 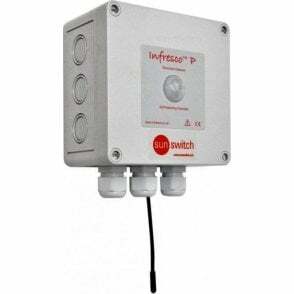 It can either be used on its own or in parallel with the CC3 6kW controller to provide a combination of automatic 24 hour frost protection and comfort warmth when an area is in use. 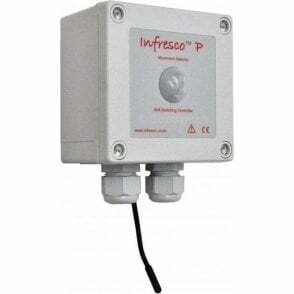 The FP6E features a soft-start circuit that prolongs the operating life of the heaters and prevents any risk of nuisance tripping at the MCB caused by inrush current. It will bring the heaters on only when it is essential to raise the temperature for frost-protection duties. In addition to working with quartz halogen infrared heating, the FP6E works with trace heating installed to protect pipework. Supplied with a thermistor temperature sensor on a 2m long lead. 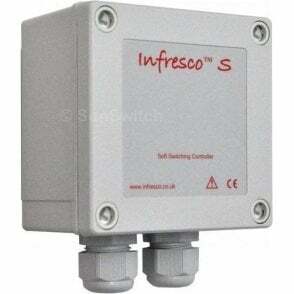 The control set point is adjustable from -10°C to +10°C. 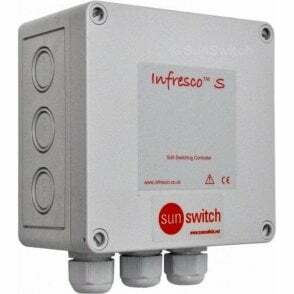 * also compatible with Infreso P,S & T 6kW controllers. Connect the mains supply and load to the controller using appropriately sized round section cable. 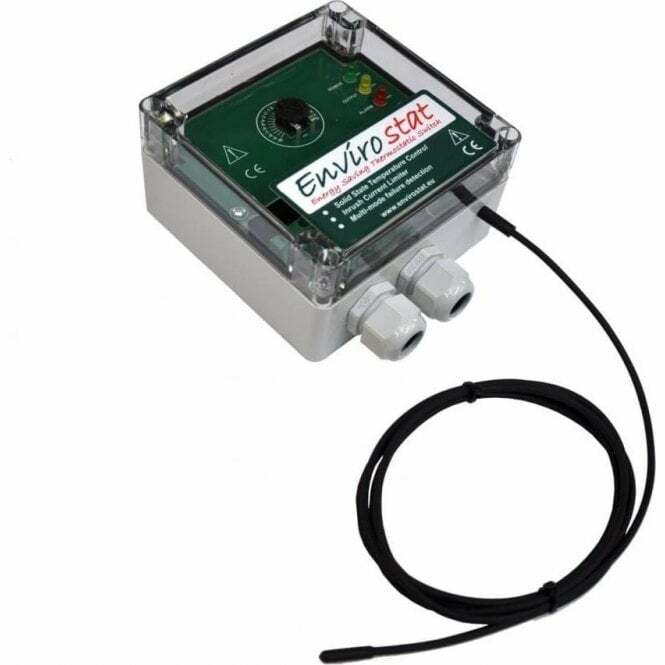 Position the sensor to measure the air temperature where required, or use cable ties to fix the sensor to a pipe etc. Set the set-point temperature dial. Supply voltage: 230V ac +/- 10% 50Hz. 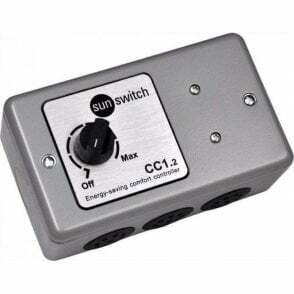 Power switching capacity: 6kW max. Temperature range: -10 to 10°C. Soft start duration: 1 second. Supply terminal connections: 0.2 to 6mm² rising clamp. Gland cable entry: 10.5 and 8mm Ø (Note: cable MUST be round to ensure IP rating). Ambient operating temperature: -20° to 40° C.
Built-in sensor: Encapsulated 10kW NTC thermistor probe, 2m lead. 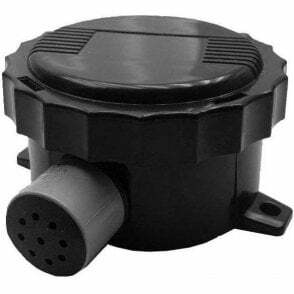 Sensor monitoring: open or short circuit - unit shuts down. Sensor terminal connections: 0.1 to 1.5mm² Rising clamp. Sensor mounting: To secure to pipe etc., use appropriately sized nylon cable ties. Enclosure dimensions: 120 x 65 x 120 mm (wdh). rated at 30A Max.) recommended for ‘in line’ protection.